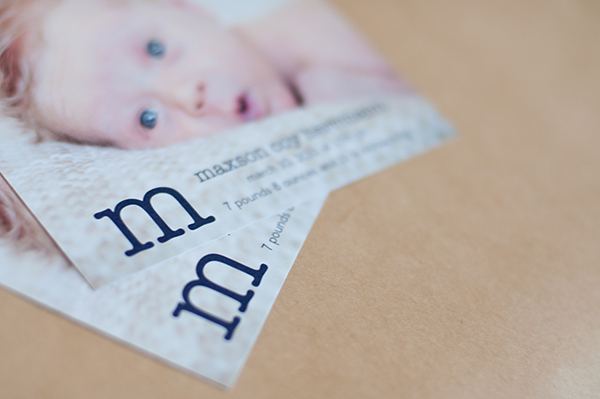 i absolutely love square cards, so i was really excited when this client wanted to feature her newborn's son on a square announcement! i focused mainly on the gorgeous photo of max on the front and kept the typography simple. the back features more stunning photography of the family! welcome to world baby max!